TAKE THE FREE PERSONALITY TEST Today! The only personality test to show you how to grow your confidence, increase your value and love more authentically. Which of the 42 personality archetypes show you at your best. How do clients and coworkers see you at your best? The Fascination Personality Test is the first way to measure your personal brand's most impressive qualities. (Sally Hogshead and the Fascination Advantage Assessment) were a 10 on the cultural impact meter. We’ve brought in Sally two times; each time to a broader audience of our office principals and staff. Her message is THAT important. The Fascination Personality Test is based on a commissioned study by Kelton Global. It measured how people interact with brands, and the different communication styles humans respond to. We found seven different advantages: Innovation, Passion, Power, Prestige, Trust, Mystique and Alert. Understanding the communication styles of team members and yourself shows you the value everyone can bring. Our system helps identify the tasks that suit each team member, and show how each person can make the best use of their time. Mitigate workplace problems by promoting a culture of engagement. Listen to the World's most Fascinating podcast. 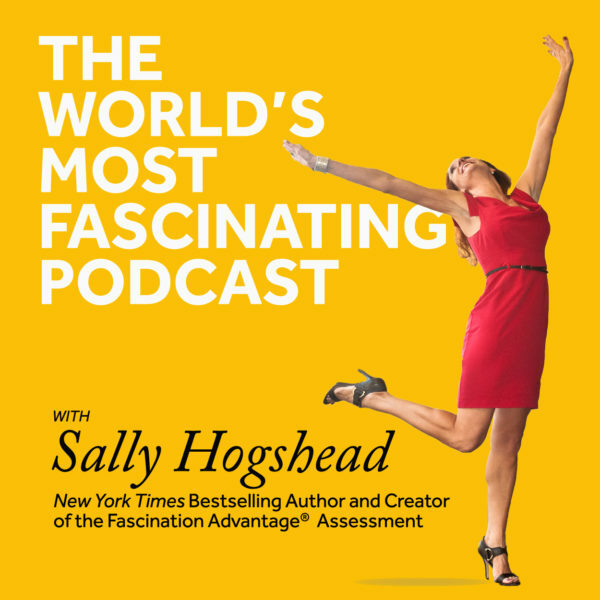 Copyright ©2018 How To Fascinate® and Sally Hogshead. All Rights Reserved.